In the world of television where characters are type-cast, roles defined, and genres enforced, it’s easy to pigeon-hole the featured personalities, even on reality TV, into one of an innumerable array of infinitesimal categories. Case in point: Discovery Channel’s Street Outlaws franchise. There’s the ever-present temptation to ask, “Is this person a ‘true’… No-prep racer? Street racer? Arm-drop street racer? 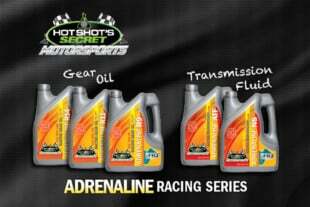 Small-tire track racer?” And the list could go on. But what if, just maybe, it was best to label the person a “racer,” pure and simple. Such is surely the case with Jerry Bird, driver of a blue Ford Probe that is raced on prepped tracks, no-prep tracks, concrete roads, asphalt… you name it. 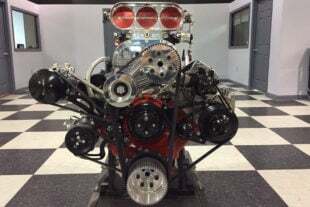 Though he has most recently appeared in the Street Outlaws: No Prep Kings series, Jerry first came into national prominence on Street Outlaws: New Orleans. And as a resident of New Orleans proper and son of Plaquemines Parish — the string of low-lying towns on either side of the Mississippi River, along it’s flow southeastward from New Orleans to the Gulf — Jerry was in many ways perfect for a series set in Cajun country. “That’s what people don’t understand,” he says. “I’m really from the bayou. That’s where we grew up, on the water.” And whether on water or on land, the culture there instilled a competitive drive in him, early. As he explains it, “We just like to race. I mean we race everything, we race boats, and bikes, cars, duallies, whatever. …We try to be fastest in anything we got out here!” And in the Bird family, that drive has taken Jerry and his brother Darryl a long way indeed, albeit in separate directions, at first. 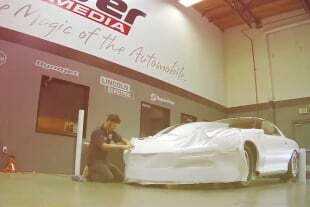 The Bird Brothers’ new-to-them Probe, a modern, Pro Stock-style chassis — this car was damaged in a high-speed accident in Tucson, Arizona and is presently undergoing repairs. 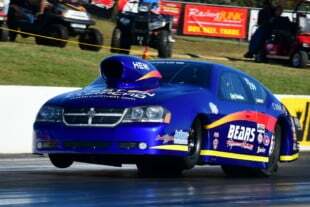 Interestingly, between the brothers it was Darryl who first got into drag racing, as a driver. In the meantime Jerry was nevertheless building speed, forging his reputation as a motorcycle builder and general repair resource (think grudge motorcycles like Hayabusa’s, ZX14’s, GSX-R1000’s, etc.). 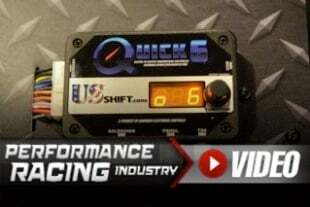 That business continues to this day, but in the mid-‘90’s a shift began towards 4-wheeled drag racing. The impetus was Darryl’s decision to step away from driving after an on-track fire, so intense that he had to jump out of the car. Jerry had gradually become interested in drag racing, too, and at that point took the opportunity to keep the family involved, with his own car. So nevermind that he had never been down a race track before, Jerry went right out and bought a 1970 Camaro, installed a roll cage, coil-over shocks and ladder bars, fitted a complete PAW 468 short block with Merlin heads, Victor intake, and Dominators, and gave himself an 11.90-second introduction to drag racing. Soon he had that combination down to 9.90’s on motor, racing the car on the streets and anywhere else he could find. To find more speed, that motor moved to a lighter chassis, a 240Z, which enabled Jerry to reach the eights. But the weakness of its stock chassis became apparent when the car started to hang the left-front tire — at rest. Darryl Bird, one half of the famed Bird Brothers and the mechanical mind behind their racing endeavors. So the same 468 was again moved, out of the twisted 240 and into a purpose-built ’92 Beretta, purchased out of California. Now this was a car that Jerry made as perfect as possible with paint and body work. 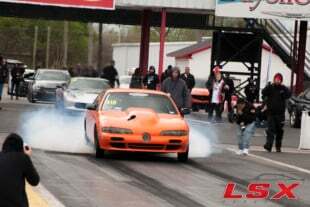 Performance-wise, on motor alone the new combination went 8.50’s, and took Jerry to 7.80’s on nitrous. Jerry and Darryl eventually retired the venerable 468, replacing it with a 632 they bought in Chicago. This would be the last upgrade to their racing program, at least for some time. 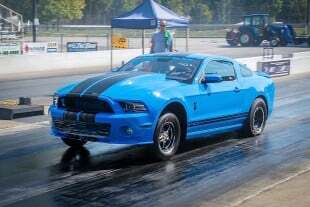 That combination achieved 8.0’s on motor and, on spray, cleared the eighth in 4.70, but the car was destroyed in a crash soon after. As Jerry puts it, “I wasn’t used to tire shake, man. So I tried to drive right through the tire shake, and I wound up wrecking the car, putting it on it’s roof.” And, because at the time he couldn’t afford to replace what was lost, he began to drive other peoples’ cars, as a hired driver. 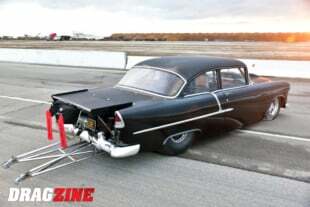 And as with every car and racer who’ve entered the limelight of Discovery’s Street Outlaws franchise, the nature of that transition cannot be anticipated or planned for. In Jerry and Darryl’s case, the Probe’s ill-handling characteristics on the street soon became apparent for all the world to see, as documented on the first season of Street Outlaws: New Orleans. “We struggled,” Jerry admits, acknowledging “we caught hell at first.” But, after the two brothers got to work and adapted, their performance reflected their true ability. Even when as they entered the burgeoning no-prep scene, the Bird brothers had to face down challenges. 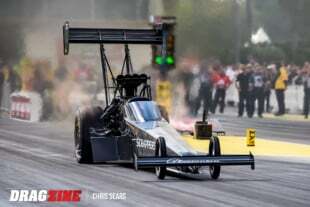 As Jerry says, “I really thought I was a good driver until I started no-prep racing.” And yet that transition was handled in stride, too, as shown by a run to the finals in Bristol, the blockbuster event that preceded Street Outlaws: No Prep Kings. In Jerry’s opinion, the team’s success derives from the unique and complimentary strengths of himself and his brother Darryl. Because the two are far from the same.